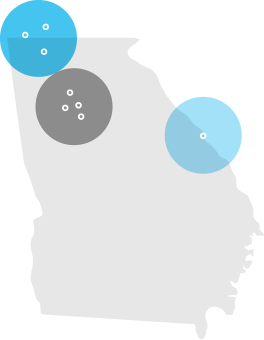 At our eight hearing centers across Atlanta, Augusta, and Chattanooga, our expert audiologists and hearing specialists can help you enjoy a lifetime of sound. We offer superb hearing care along with affordable hearing aids from five leading manufacturers, all with our Best Price Guarantee. Let us help you discover there’s more to hear. © 2019 Southern Medical Hearing Centers, Inc. All rights reserved. © 2019 Southern Medical Hearing Centers, Inc.